There is a number of world reknowned rivers and lakes that have riverside lodge accommodation within 1 to 3 hours drive from Napier. The famous Ruakituri River in northern Hawkes Bay. Stay in a farm cottage on the upper reaches, just a short drive from the best pools. Includes Napier Airport pick-up and drop-off and all trout fishing transport. All lunch’s included in guiding fee. Morning and evening meals extra. A fishing licence if required is extra. All prices are for 1 or 2 people trout fishing. 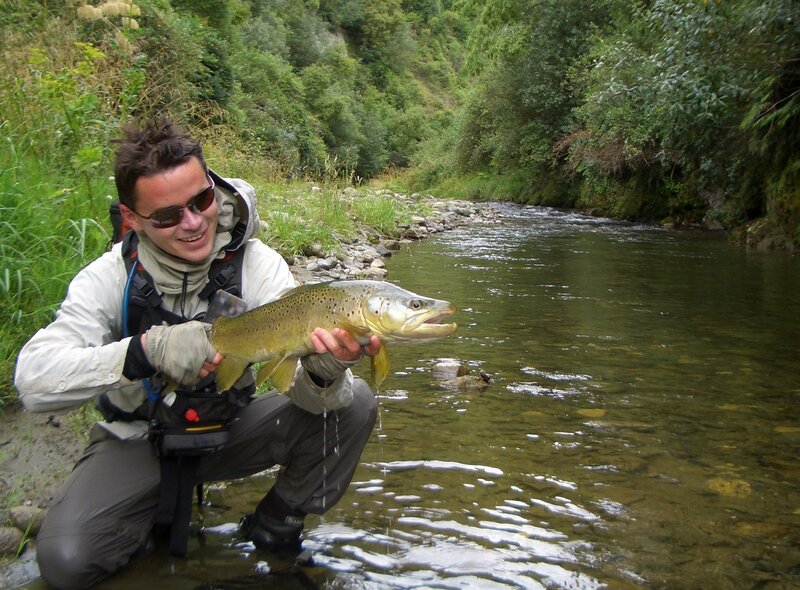 Opition 1: Stay 1 night/2 days guided trout fishing. Opition 2: Stay 2 nights/3 days guided trout fishing. Opition 3: Stay 3 nights/4 days guided trout fishing. Arrive Napier Monday early and depart Thursday late. Fishing Monday to Thursday. 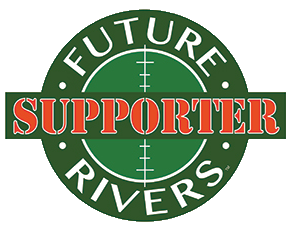 Fish this amazing small Hawkes Bay river as featured in Nick Reygaert’s film “Back Country North Island”. It is a brilliant river for sight fishing and the trout are always willing to take dry fly’s. Stay on a local farm in an original 130 year old cottage which has recently under gone renovations making this cottage a warm and comfy place to relax and soak up the views. The three bedroom cottage is fully self-contained and offers extensive views over farm land and beyond to the cliffs of the trout filled Tutaekuri River. A special place to wind down, relax and enjoy your stay. The farm has private river access. Opition 1: Stay 2 nights/2 days guided trout fishing. Opition 2: Stay 3 nights/3 days guided trout fishing. The world renowned Tongariro River in Turangi at the southern end of lake Taupo is also well worth a visit for a night or two. An amazing river to fish in the winter when thousands of trout run from lake Taupo up the river to spawn, it is about a two and a half hour drive if you are based in Napier. Stay at the Creel Lodge which is situated on the famous Tongariro River, with its own private access to one of New Zealand’s top fly-fishing rivers. 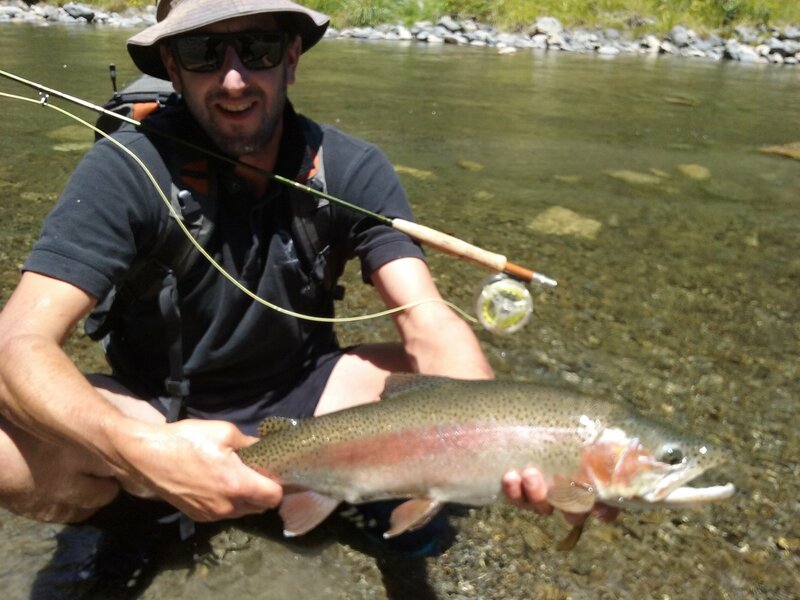 Fish one of Hawkes Bays most famous rivers, full of hard fighting rainbow. Known for it amazing hatches that offer superb dry fly action..
Stay at Riverstone Lodge on the middle reaches. One of the North Islands famous rivers with awesome tributary streams and holding both brown and rainbow trout. Stay in middle reaches at Mountian Valley Lodge off the Napier/Taupo road. All lunch’s included in guiding fee. Morning and evening meals extra. A fishing licence if required is extra. All prices are for 1 or 2 people trout fishing. Option 1: Stay 2 nights/2 days guided trout fishing. 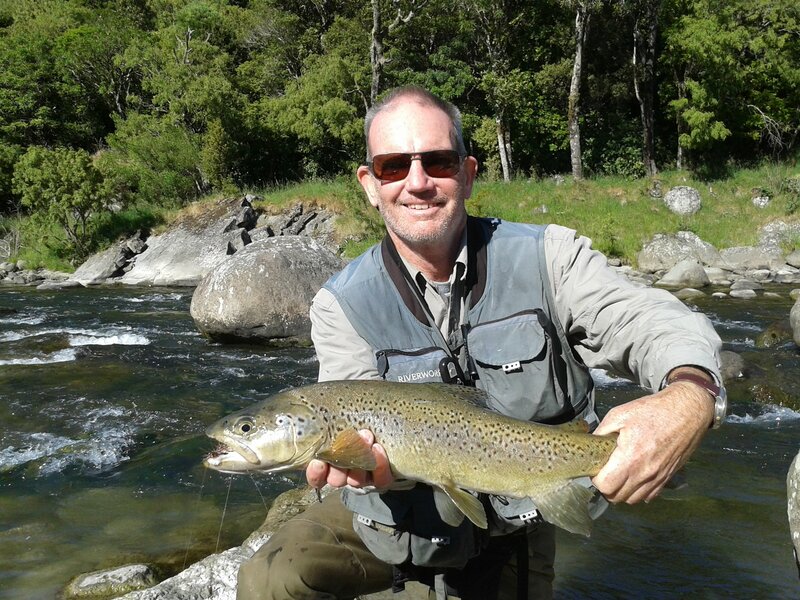 Enquire about the Trout Fishing in New Zealand today!